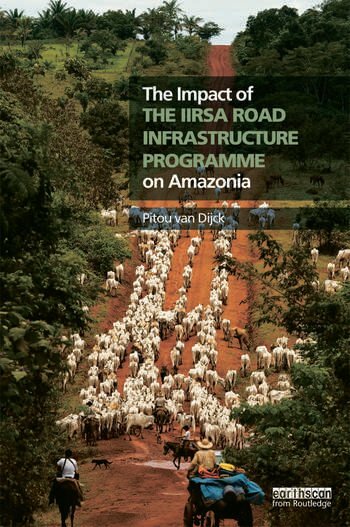 This book analyses the potential socio-economic and environmental impacts of the Initiative for Regional Infrastructure Integration in South America (IIRSA), a continent-wide programme. IIRSA aims at facilitating intra-regional trade and at improving trade and transport links with world markets. This is the first book on IIRSA and its potential implications for South America and more specifically for Amazonia. The book provides an in-depth analysis of the infrastructure programme and deals particularly with methods to assess the probable effects of road construction in environmentally fragile territories. To deepen our understanding of the potential impacts of roads in these areas, the book combines insights from economic and environmental sciences and gives a critical review of traditional assessments and strategic environmental assessments (SEAs). A comprehensive approach of assessing impacts is presented in three case studies of SEAs: the Corredor Norte in Bolivia, the road between Manaus and Porto Velho in Brazil, and the proposed road to link Suriname with Brazil. Pitou van Dijck is Associate Professor of Economics at the Centre for Latin American Research and Documentation (CEDLA) at the University of Amsterdam.